Considering there are many sheet metal companies, each with different levels of experience and expertise, it is easy to understand why you are struggling in trying to choose the right one. Fortunately, with a few guidelines, the process of finding and comparing sheet metal fabrication companies becomes easier and more efficient. Start by looking for sheet metal company names with a history of providing excellent services. Even among the top choices, it is important that you verify that the company offers the exact type of fabrication that you need. Although not mandatory, it is helpful if the company has experience making the type of metal part or component that you want fabricated. The sheet metal companies that you are looking at must have experience working with a variety of metals, which requires the fabricator to have multiple skills. This is important because every part and component has unique tolerances and finishes. The sheet metal fabrication process is quite different from the process used for fabricating aluminum, bronze, brass, and other metals. 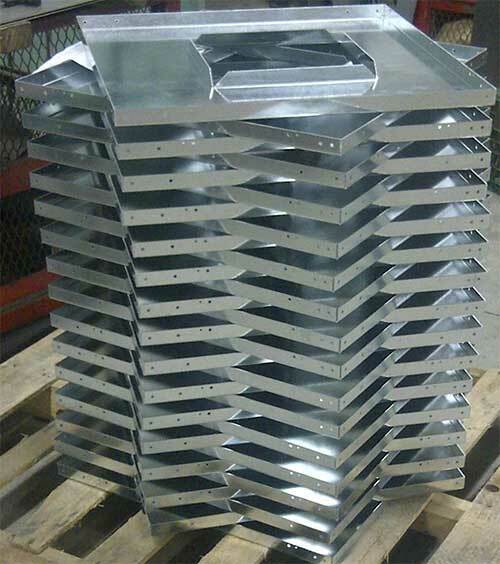 The sheet metal fabrication companies on your short list should also work with different types of tools and equipment. When considering companies that work with a variety of metals, having an assortment of tools and equipment is essential; without them, it’s impossible to produce high-quality metal elements. With sheet metal fabrication, there are many unique techniques. To ensure consistency and quality of finished parts and components, the company must have access to the appropriate tools and equipment. As a result, the experts can form brass, drill aluminum, weld copper, or punch steel to precise specifications. In order for any of the sheet metal companies being considered to produce the type and quality of parts and components that you need, the technician or operator must possess certain skills; without human input, superior product design is impossible. Although this is critical for the fabrication of standard items, it is even more vital for customized products. At Weldflow Metal Products, our entire team of experts is 100 percent dedicated to your project. While there are other sheet metal companies, we guarantee your satisfaction. You can visit our website to learn more about the company and the services that we offer, or call us by phone to set up an appointment. This entry was posted in Uncategorized and tagged sheet metal companies, sheet metal fabrication. Bookmark the permalink.